Writers Scott Frank and Mark Bomback take their cues from Frank Miller and Chris Claremont’s comic book story arc from the early 80s and give us a modern day take on Logan dealing with his severe depression of his immortality as he takes on the Yakuza and corporate and political corruption in Japan. It’s not the norm for a comic-book film, but Mangold tends to push things in the right direction, before the anti-climactic fight scene that seems to fall apart on every single level. We first see Logan (Hugh Jackman) a bit of time after the separation of the mutant squad of the horrible film ‘X-Men: The Last Stand‘. Logan has let himself go and lives in the forest on a pile of rocks with an old radio and has a beard that could compete with Grizzly Adams. His only friend is a giant Kodiak bear. Throughout the film, Logan is haunted in a series of corny dream sequences of his late love Jean Grey (Famke Janssen), who Logan was forced to kill sometime ago. And for some reason, Janssen’s wardrobe only consists of white lingerie. As we see in the first scene, Logan saves a young Japanese soldier from an impending nuclear bomb, to which they have stayed distant friends for many years. However, when Japanese hipster Yukio (Rila Fukushima) shows up present day to inform Logan that his long-time friend wants to say his final goodbye, Logan follows her to Japan where things get a bit hairy. Once Logan sees his his old friend, now known as Lord Yashida, a powerful business tycoon who doesn’t want to die, but is knocking on death’s door, things start to spiral out of control after his death. Yashida’s granddaughter Mariko (Tao Okamoto) seems to be a target of the violent Yakuza, which is seemingly led by Mariko’s father (Hiroyuki Sanada). The two are on the run from assassins, ninjas, and the mutant villain Viper (Svetlana Khodchenkova), who dresses in green and kills her victims with a venomous kiss, which is eerily similar to Batman’s enemy, Poison Ivy. This all leads to a climactic battle where Logan must defeat the Silver Samurai, but not before going through one of my favorite scenes in the film, in which Logan is running through an old-time Japanese village with dozens of arrows hitting him in his back before his falls. This is clearly a nod to Akira Kurosawa’s films, and was well received. Besides, a fun and silly action scene on top of a 300 mph train, the action takes place on the ground with very little CG, if at all. The Japanese style fighting is spot on and fun to watch. Mangold truly captured the Japanese culture and early films with this movie. 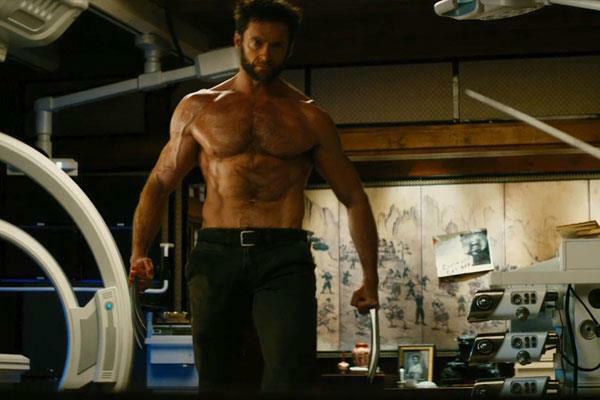 Hugh Jackman once again owns the Wolverine role, as he we see him struggle with his own personal demons and physical ailment as well as take on the seemingly unstoppable villains with this constraint. The 3D conversion did little to impress, although the wide shots of a snowy Japan did add some good depth. 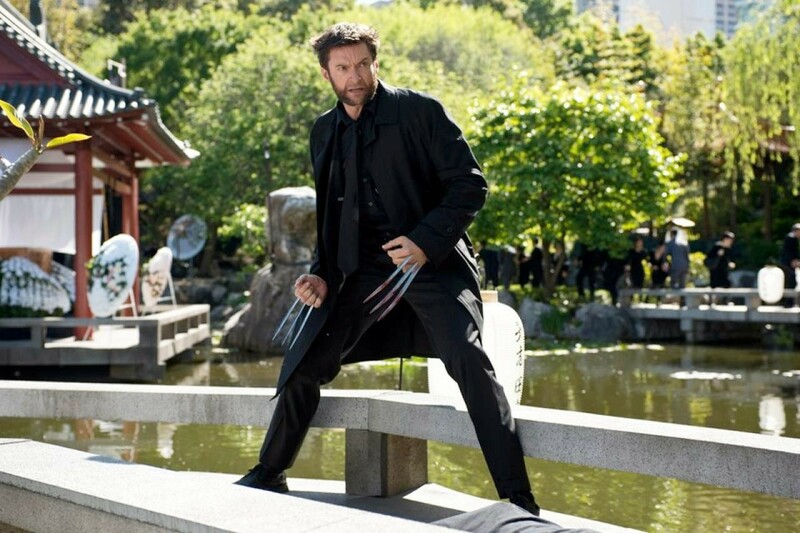 While ‘The Wolverine‘ is still not a solid film, it’s a step in the right direction. Some of the pacing seems a little slow with some elements of silly comic-book humor. If you can brave the storm, the end-credit sequence will blow your mind and might make you get out of your seat and yell “YES!” I figure fans of the story and Wolverine will venture out to see this bloodless PG-13 super-hero film, but the rest of us might just be waiting for ‘X-Men: Days of Future Past‘. This entry was posted on Thursday, July 25th, 2013 at 11:46 am	and is filed under Comics, Film, News. You can follow any responses to this entry through the RSS 2.0 feed. You can skip to the end and leave a response. Pinging is currently not allowed. « Here’s the Amazing Trailer for ’47 Ronin’, starring Keanu Reeves! !